There is no doubt that Quantum Break is one of the most hotly anticipated video games of the year, and one of the top Xbox One exclusives that gamers are looking forward to. And earlier this year it was rumoured that Remedy Entertainment’s hotly anticipated game Quantum Break would see a PC release too, because apparently a Brazilian classification board had reviewed both the Xbox One and PC versions of the game, making highly likely that there would be a Windows 10 version of the game. Well, the rumour turned out to be true and Quantum Break, which is published by Microsoft Studios and forms part of Microsoft’s strategy to combine the Xbox One and Windows 10 gaming ecosystems, will be released for PC on April 5, together with the console version of the game. What’s more, those who purchase the Xbox One version of the game will get the PC version too, in an apparent gesture of goodwill by the Redmond giant. But still, it is clear that a PC release of Quantum Break was a very likely thing. After all, Finnish developer Remedy Entertainment’s major games have all come out on PC, from the Max Payne series to the horror action game Alan Wake. And judging by the cinematic trailer below, it is clear that Quantum Break’s action is inspired by Max Payne’s slow motion shooting, as we see protagonist Jack Joyce manipulate time in the video, evading bullets in slow motion like the protagonist of Remedy’s earlier Max Payne games did. 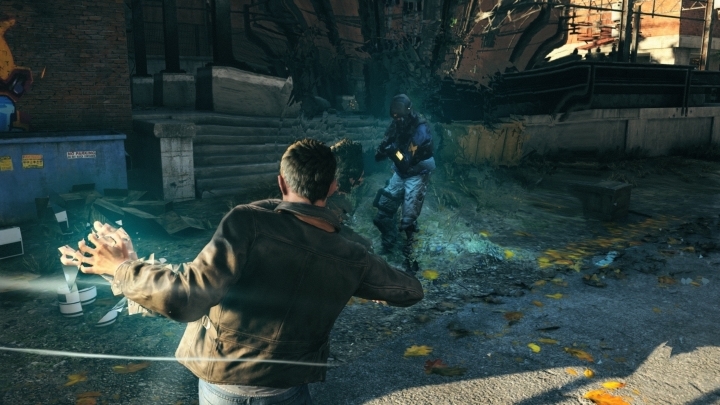 And this is a game that has high production values, as the live action sequences in Quantum Break feature star actors like Shawn Ashmore of X-Men fame (who plays main character Jack Joyce) and Aidan Gillen of Game of Thrones fame, who plays the villain Paul Serene, leader of the evil Monarch Corporation that is hunting Joyce in the game’s cinematic trailer. Note: Quantum Break will be released on April 5, 2016. It will be available on Xbox One and PC. Next: After Assassin’s Creed Chronicles, Where Does the Series Go Next?